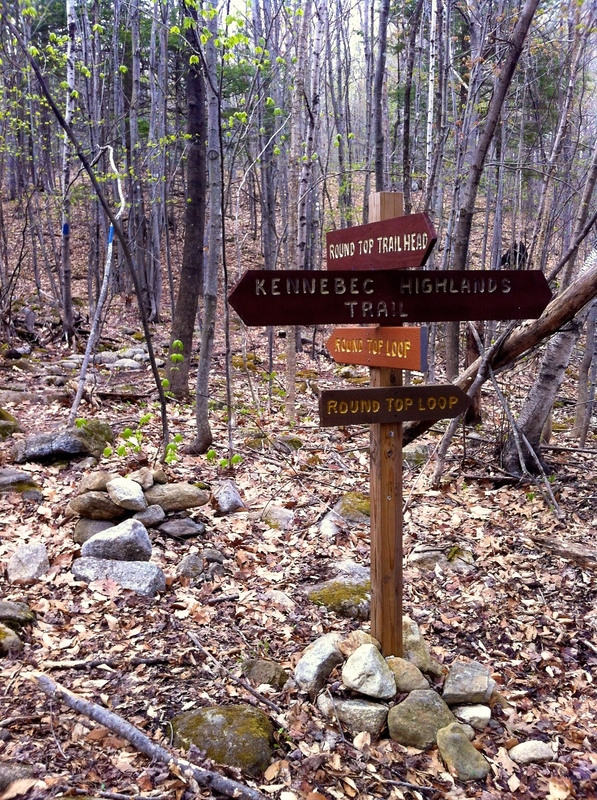 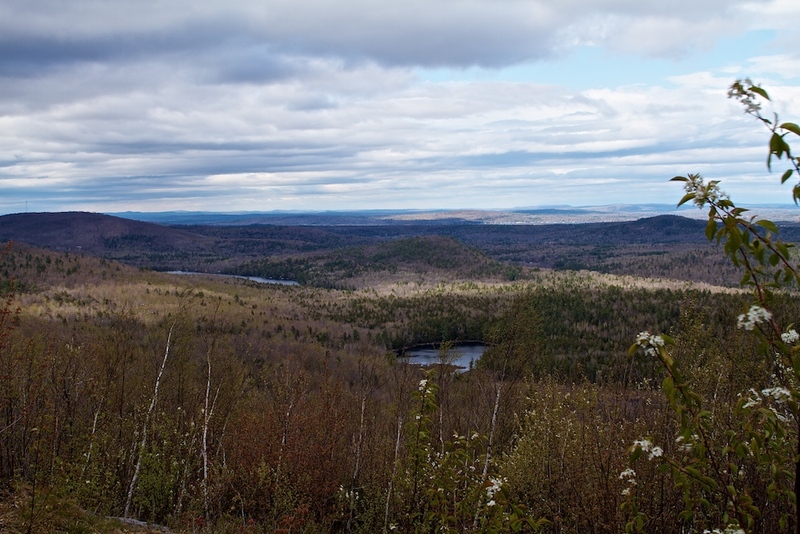 The Kennebec Highlands Trails are a great resource all year long. 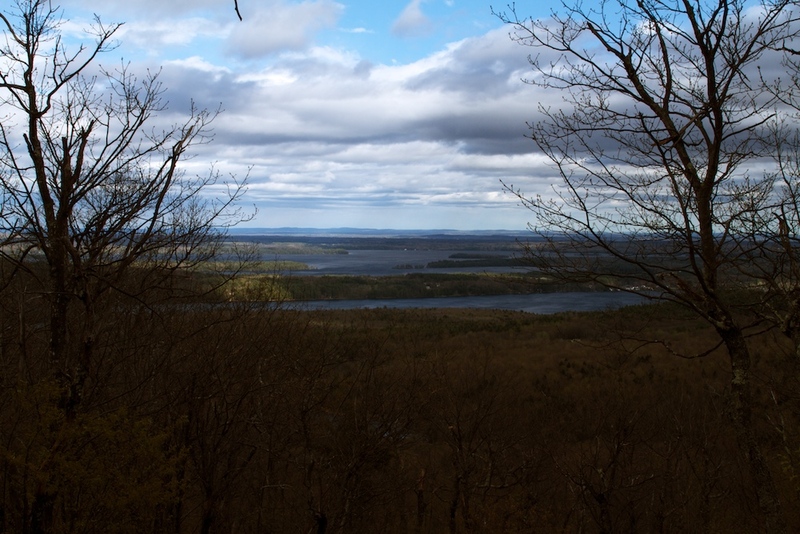 I took the Round Top trail [map]. 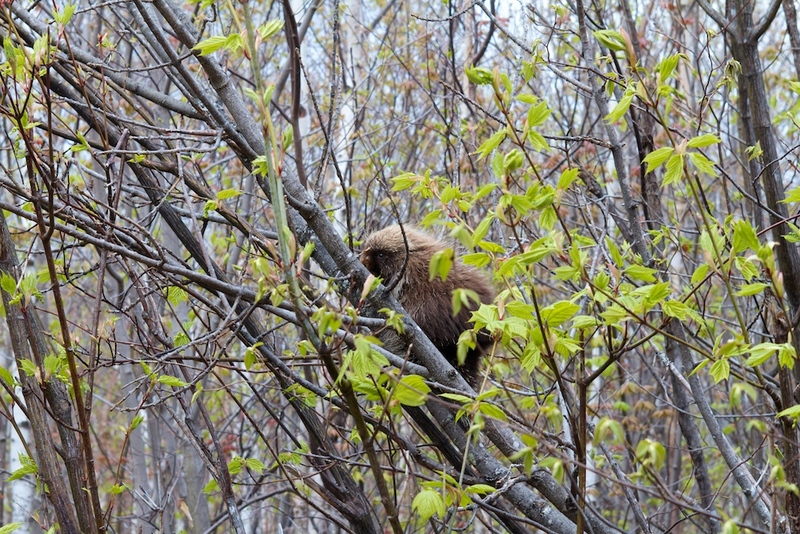 This porcupine was in a tree over the trail! 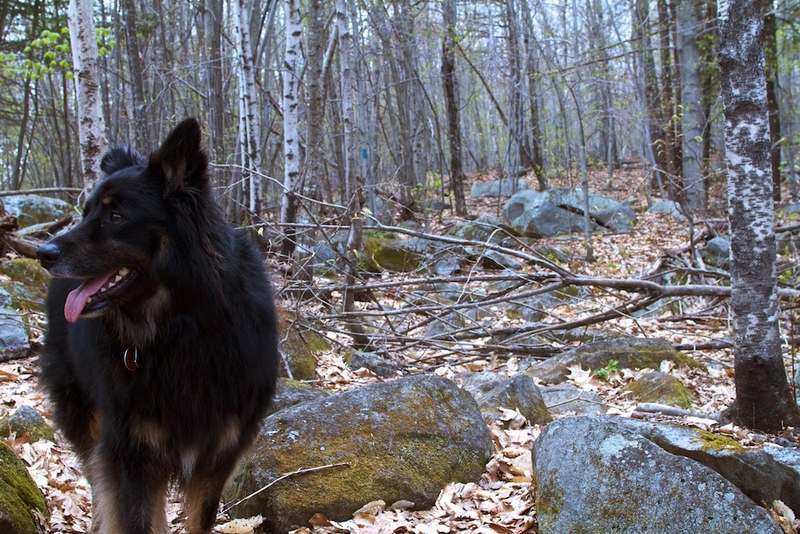 Luckily the dog obeyed and we made a nice wide path around.